For me, haute couture and master of design equals Elie Saab. Every year he surprises me with a new amazing collection, in his own unique style. In my opinion, he managed to find the perfect mix of fabrics, details, embroidery, shine, design and cut, to make every single dress a masterpiece. To me, he has one of the most balanced styles in the fashion industry… never too much nor too little. Born in Lebanon, he experienced fashion design at the young age of 9, and at 18 he opened his first couture atelier and presented his first collection, with huge success. That was the moment Elie Saab put his name on the map of the most talented designers of the world and every year he proves once again that the fashion industry will always remember his name. 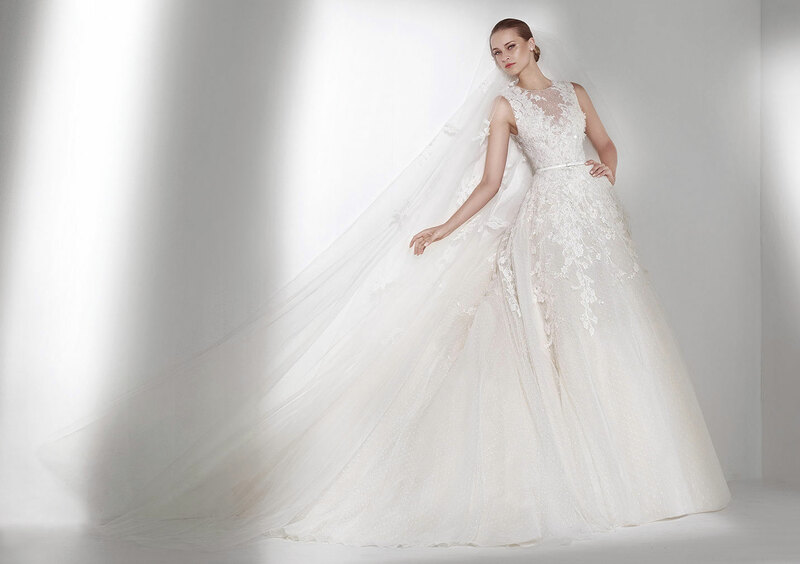 Under the brand ELIE SAAB you can find a Haute Couture & a Ready to wear Collection, shoes, bags and jewelry collections, perfumes and the Bridal Collection, in collaboration with PRONOVIAS. We cannot but admire his work, as he is a complete fashion designer, with love for details and has dedicated his work to make „the ultimate dress that highlights a woman’s silhouette„. If there is one dress that I dream of wearing, it’s an Elie Saab evening gown, and the ones who know me and my style, will understand exactly why he is the designer of my heart…. For me, it will always be ELIE SAAB. OMG! Those shoes = Love.